Calderdale Council is holding a further series of Flood drop-in sessions where people will again have the opportunity to talk, face to face, with engineers who knew in great detail about the flooding, and where the council, Yorkshire Water, the Environment Agency and the Canal & River Trust will be available to explain what work has been done since last Summer, and what’s also planned in the medium and long terms. The National Flood Forum will also be there with practical help and advice. Hebden Bridge Town Hall: Thursday 7th March, 3pm to 7pm. Mytholmroyd (St Michael’s Church Hall): Tuesday, 12th March, 3pm to 7pm. Todmorden Town Hall: Monday, 4th March, 3pm to 7pm. 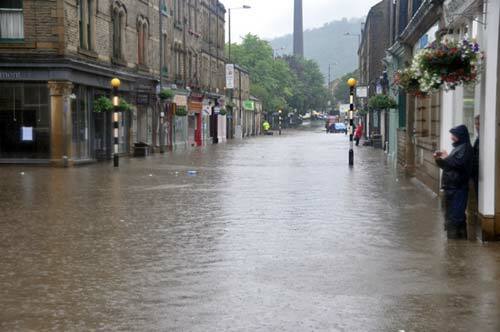 The Community Foundation for Calderdale’s Upper Valley Flood Fund was generously supported by local people, including visitors to the HebWeb, raised more than £150,000. It’s now six months since Calderdale was hit by the devastating floods of last Summer and I thought you might like an update on the work which has been completed since so many homes and businesses were badly hit by the floodwaters. The Council and its strategic partners, Yorkshire Water, the Environment Agency and the Canal & River Trust, have in total invested more than £3 million in repairing roads, paths, culverts, drains and other infrastructure since the events of June, July and August. This is likely to represent only a small proportion of what is likely to be the final cost of repair and remediation work. A great deal of work is still being carried out to confirm localities where further work is required, to determine the scale of the works, the cost and the beneficial impact they will have on local homes and businesses. It is vitally important that the Council and its partners deliver a comprehensive multi-agency response to the floods, and this is exactly what we are all determined to do. The ultimate cost of the floods of 2012 will be many millions of pounds and we will keep you informed of the progress we make. At the same time there are lots of things which you and your family can do to prepare for floods, to make your property more resistant. Forward planning really can help to reduce the impact of flooding and, in some cases, prevent water getting into your property. More information is available on the Environment Agency website and the National Flood Forum, a charity which provides free advice, has lots of information on practical things which we can all do make our homes and businesses more secure(www.bluepages.org.uk) . Additionally, you may recall the booklet `Flooding in Calderdale’ which was enclosed with my earlier letter. This can be found on the council’s website with other useful advice and information. 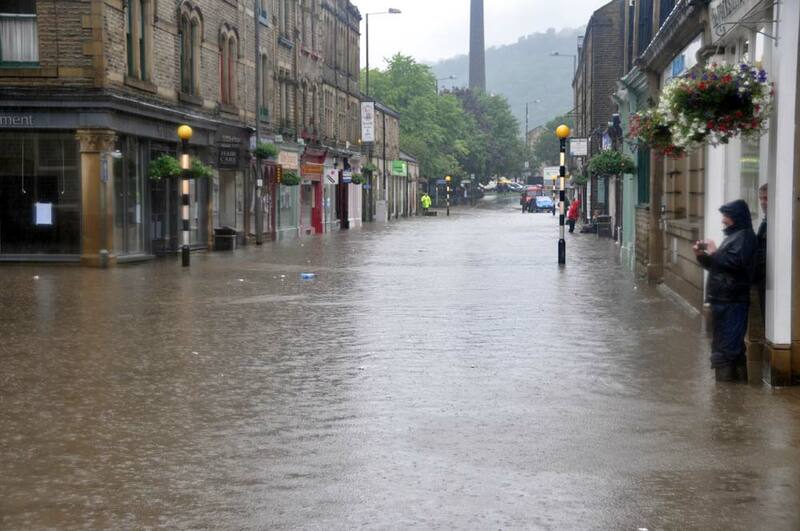 In the Autumn we held flood information events in Todmorden, Hebden Bridge and Mytholmroyd. We plan to hold further sessions in the Spring in both the upper and lower valley areas. Further details are at the bottom of this letter. More than 250 people visited the Autumn meetings and provided some very interesting feedback on their experiences and what they expected the council and its partners to do in the future. 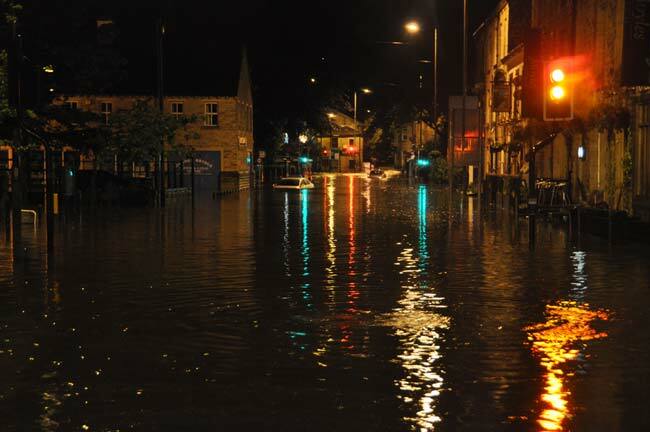 For example, many people said there should be Flood Action Groups in Todmorden, Hebden Bridge and Mytholmroyd, to give people an opportunity to get more involved in local flood issues. Well, the council and others have helped the local groups get established and they are now up and running. And a good number of people said they found the sessions interesting because they could talk, face to face, with engineers who knew in great detail about the flooding, and they wanted more sessions to be held in the future. Well, that’s why we are holding more drop-in meetings in the Spring when the council, Yorkshire Water, the Environment Agency and the Canal & River Trust will explain what work has been done since last Summer, and what’s also planned in the medium and long-terms. The National Flood Forum will also be there with practical help and advice. The issue of insurance has frequently been raised with us and we plan to carry out a more detailed survey in the flood affected areas to get a more accurate understanding of what people are concerned about. The results will enable us to focus on how we take this issue forwards. Whilst the Council and other organisations have been working to repair the infrastructure damaged by the floods, it is important to recognise that our colleagues in the voluntary sector, the Community Foundation for Calderdale (CFFC) and Voluntary Action Calderdale (VAC), have worked equally hard to help all those whose lives were affected. The CFFC’s Upper Valley Flood Fund was generously supported, raising more than £150,000, and it has helped more than 200 households with flood relief grants. The Fund is still giving grants, in the form of Emergency Flood Kits, and applications of up to £150 can be made by people living in the upper Calder Valley, and whose homes are susceptible to flooding, via the CFFC website. I hope you have found the information in this letter of use and that it has reassured you that the council and other organisations are learning lessons from the Summer floods and are working hard to lessen the impacts of any floods which may happen in the future.